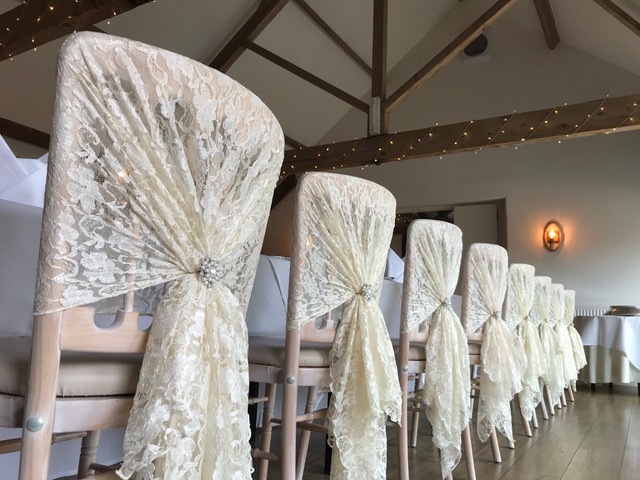 You've chosen your style of chair and cover, picked out your colour scheme and worked out your design. 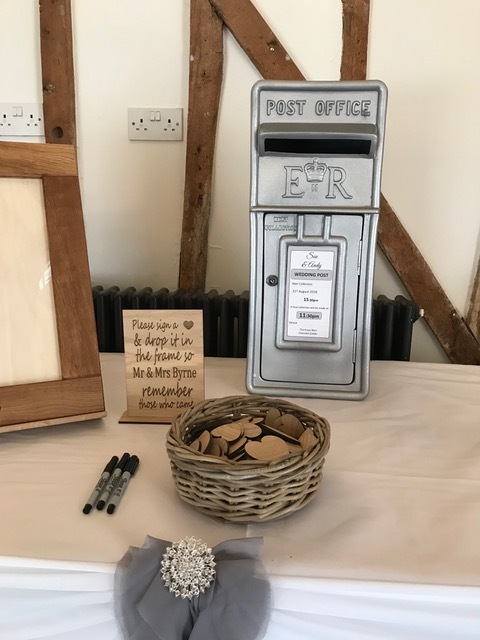 The only thing that might be missing is the addition of a flower, brooch, butterfly or other finishing touch to enhance and make your wedding stand out. 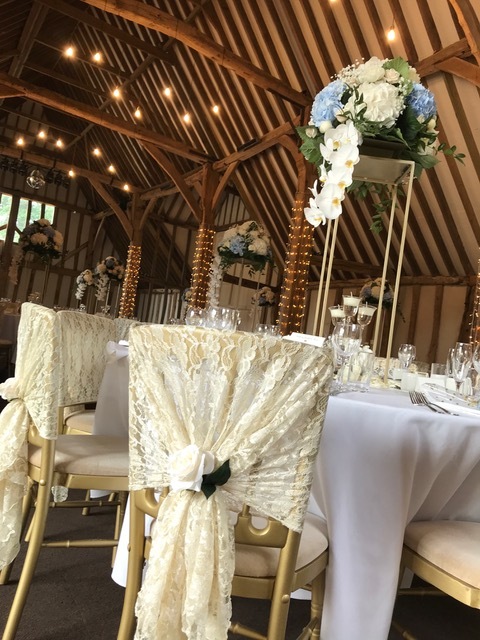 Take a look through our gallery to see some examples but if there is a particular style you are after, please let us know. 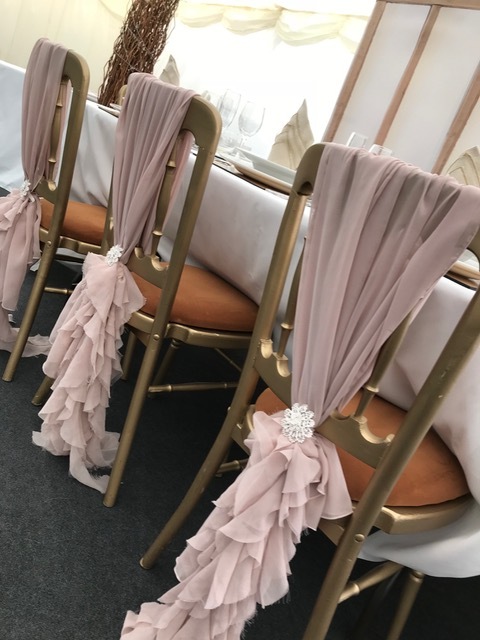 The addition of a brooch will always make any sash colour or combination come alive and add a touch of sparkle to your day. 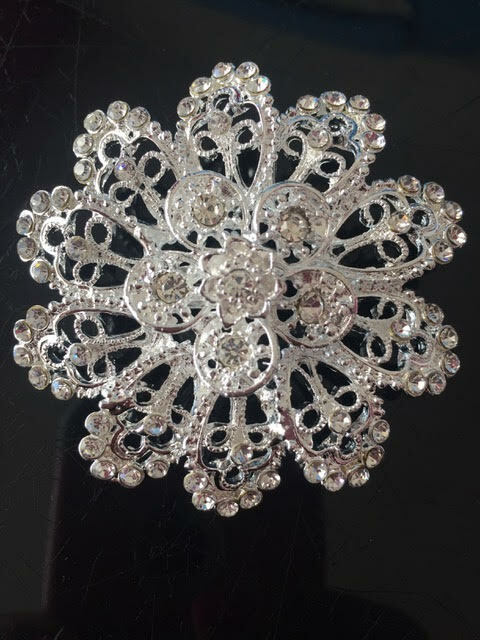 We have a few styles of brooches that we can offer, so please take a look at the gallery to help you with your selection. 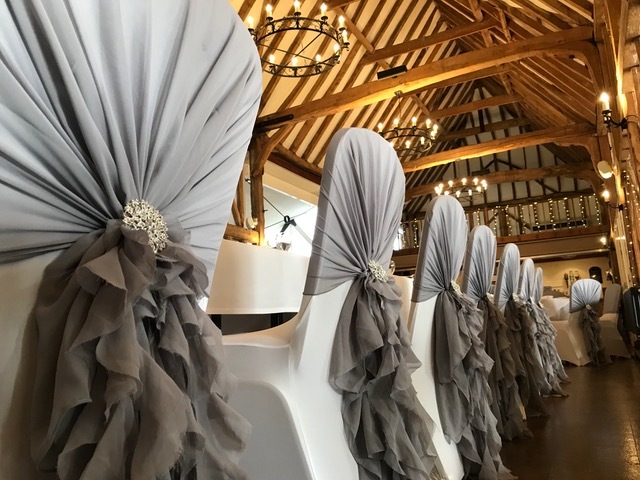 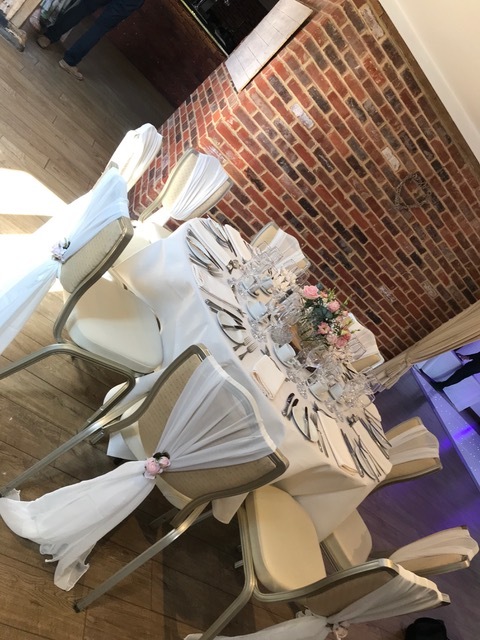 Our table swags are a very popular addition to your big day as they can provide a very elegant and stylish finish to your top table, cake, present, registrar or any other important table. 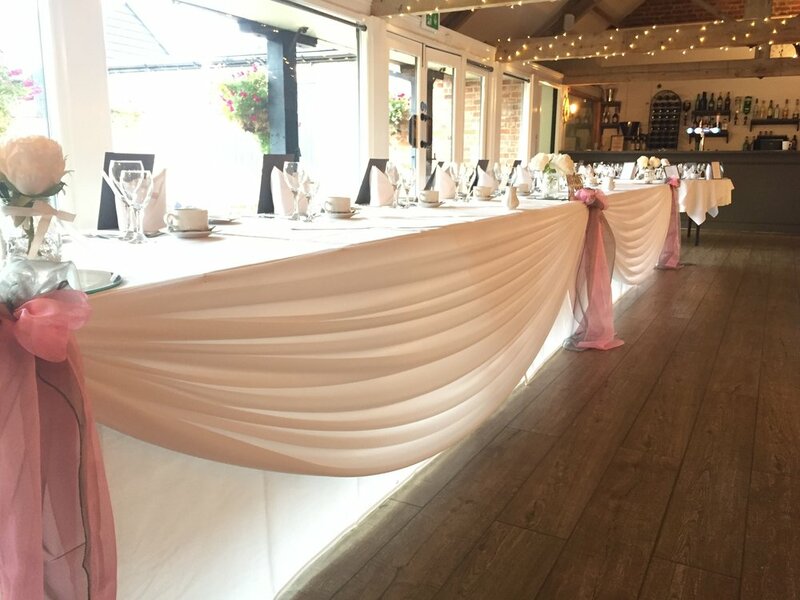 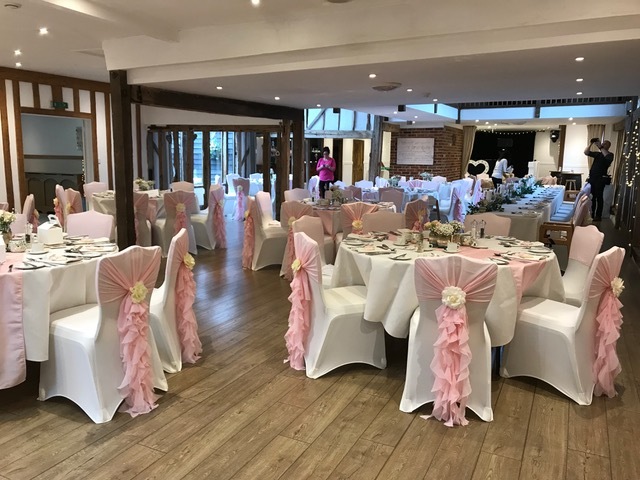 A top table swag provides a gorgeous finish to your important place at the wedding breakfast and, where possible, will use wide fabric to create the deep ruche effect needed. 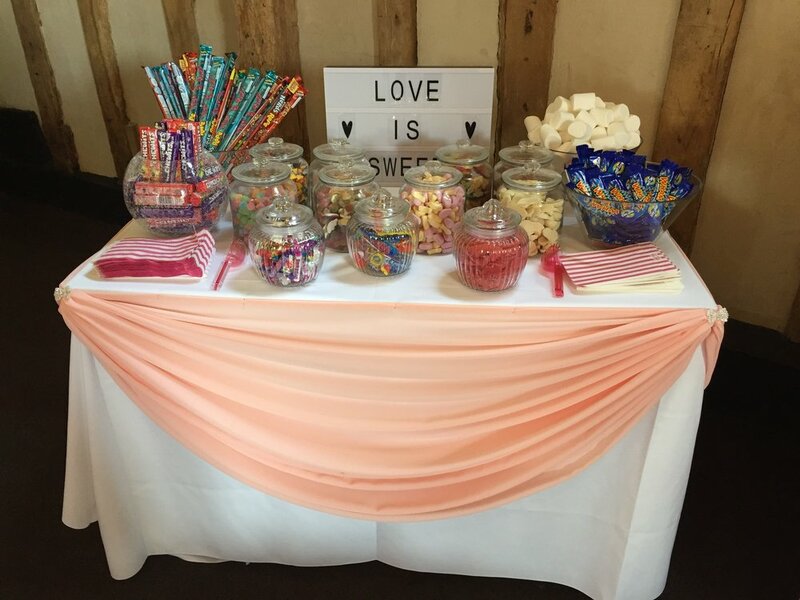 Cake & registrar table swags will also draw your colour theme together with the eye catching effect. 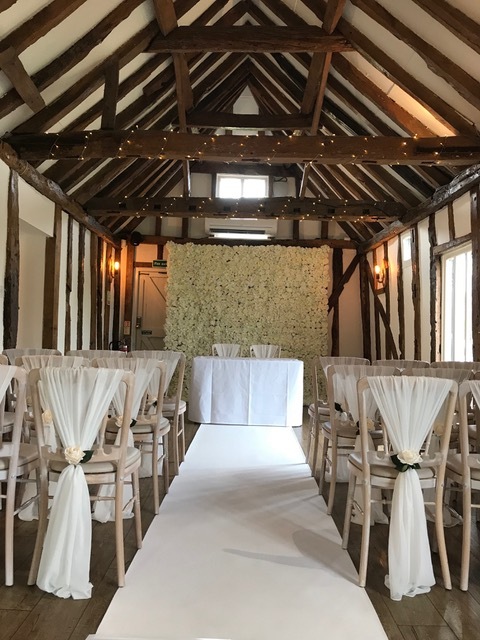 Please take a look at our gallery to see examples. 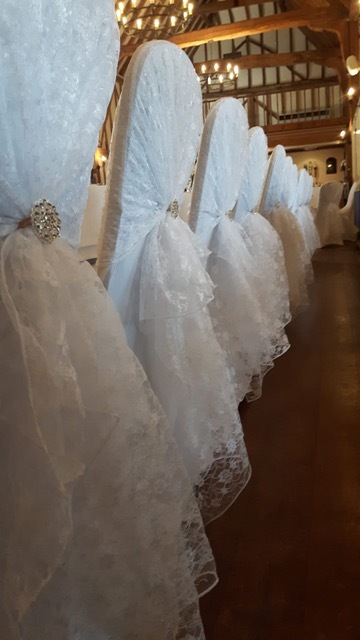 "Make sure your Occasion's Covered by us!"